•The police are totally confused with the case. “What we? What I can tell you is that I do not have the answers to these questions, “said Chief of Police of the Los Angeles broadcaster CNN. •Soon after the death Janet Jackson was seen entering the mansion to Michael to accompany the service of employees of a company for change. Then out of the house of a huge truck mudanças.De according to the site “TMZ,” the vehicle carrying the personal star to a store yet desconhecido.Tudo it done before the expertise of Police of Los Angeles. •For years he had passed long periods in Bahrain showing its intention to establish residence in the country. •He would be 'nice' and 'testing' just before the “death” (see Michael Jackson Latest test). •The ambulance took the firefighters nearly an hour to remove the “body” of your home to the hospital, even knowing that no more complex procedure could be done in residence (see the delay to help Michael Jackson). •Monumental debt (U.S. verMichael Jackson accumulated 500 million in debt). •What reason would be for the family to request the removal of 13/07/2009 crypt where would mysteriously to a hold for 'security reasons'? •In August he was going to launch a song or call Resurrection, and had already released an album so in the past! •Nobody knows your body where it was taken after the memorial. •The doctors do not speak the death (Family and Medical avoid talking about causes of death of Michael). •The U.S. president who was a fan of the star is only ruled on the suit a week later and was not the funeral. •A private physician who leave their careers to devote to a single patient, just in time not more crucial with your “unique” patient to the hospital? •The delay in the outcome of the autopsy, and the IML of the river where everything works the coal … is so difficult to recognize an overdose? •After the ceremony the family “mourning” was “celebrating” a Vienna restaurant. •Before he reached the hospital to CNN as Michael was already dead. •In the U.S. there is a law that if you try to kill two or three times you can change your identity and to forge his own death. •For someone who does not show since 2006 would have a tour scheduled, coincidentally, for about a week after his death? •The plan had been mapped out long ago, as shown in the letter of his music Morphine, which is about heart attack, morphine and the drug Demerol. •A possibly empty coffin was displayed in the show where the tickets dismissed collective were not charged, “who was wanted.” No one can legally challenge anything. •Employees of the U.S. border with Mexico, says that Jackson and an unidentified man had left the country on the night of his death. •His death certificate refers only to the dead is a black man dead because still undefined. 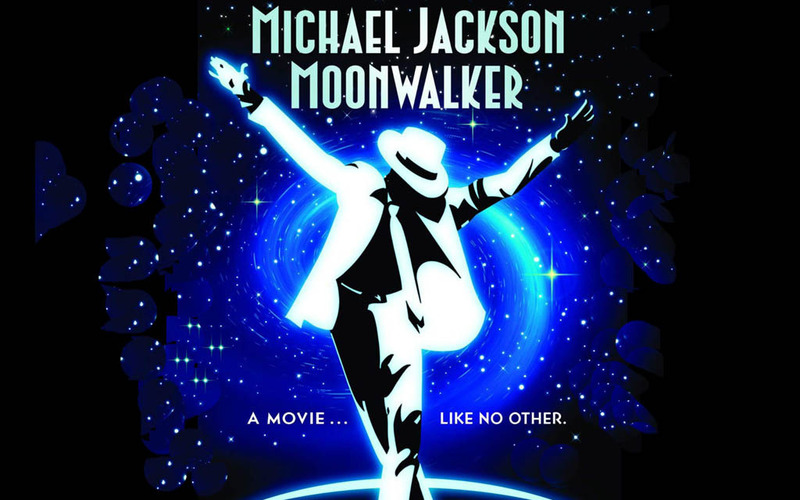 •Products related to Michael Jackson concerts that take place in the O2 Arena in London, are being traded normally – even after death. •After the wake, rather than take the coffin to the cemetery with him gone! •In connection to the emergency, who says the league is unconscious man lying in bed, and that the doctor tried CPR on him. A person trained in medicine does not know that cardiac massage must be done on a hard surface? •It is known that some time here, Michael used mannequins and even double it off the press. •Before he reached the hospital the police were there already forbidden the passage of all. •His father, Joe Jackson, said to ABC News that he suspected the circumstances surrounding the death of his son. •In the funeral there was no registration of credentials to journalists. Michael was a public person, all newspapers, websites, radio stations were aimed at coverage of the “death” of him. It is clear that there should be the registration of the press to cover the funeral. Thus, the press had to get a ticket and stand in the middle of the audience, narrating what was happening. But nobody saw, filmed, photographed, recorded by anything backstage. •The doctor would have been little more than a week working with Michael telling its customers that it would for a special mission (Doctor of Michael Jackson stop clinic 11 days before death). •The person who appeared in the press about the show in London was an impostor. Michael Jackson had long training sósias. The scenes of the ambulance that took the singer to the hospital a truck show slower than those of gas that are playing musiquinha. That was an ambulance? •Now the IML of Los Angeles wants to see all medical records of Michael Jackson. Now see medical records and previous dental procedure is when you are in doubt as to the identification of the body. •”If Michael Jackson was a case of very strong pain, they hold more morphine,” says the anesthesiologist at the Hospital San Luis Daniel Oliveira. This is because the body creates mechanisms of resistance to the effects and need larger amounts for the drugs to take effect. •A friend Oprah Winfrey has not so far any mention of the death of the minimum singer, arousing the curiosity of fans. •Those who met the artist give widely conflicting medical reports on the use of medicines by MJ. •The singer himself knew that it was unable to hold a series of 50 shows, but ended up yielding to pressure from persons who had money. “I do not know how I do 50 presentations. I am very nervous, “said Michael on one occasion. •The recent information that in recent years Michael dressed as a woman in secret shows that he was training to go up when a woman was in the Middle East, where he could use the burca quietly to hide his face. •AEG Live suggested that fans keep the tickets for shows in London. •There was the examination of DNA for confirmation of identity. However, a person would have 12 plastic surgeries in the last couple months could only be identified only by civil visual recognition? •Confirmed the news that he would be with cancer would be an opportunity for the demise (see Michael Jacksondied at the time). •The Staples Center, where gym was the funeral is owned by AEG Live Concerts on the promoter in London. •The doctor Conrad Murrey is collaborating with the authorities to clarify the circumstances of the death of the singer. •The sister La Toya in recent interview says that the death of Jackson is a conspiracy. La Toya also claimed that millions of dollars in cash and jewelry disappeared from Jackson's home the day he died. •His particular nurse spoke to him only five days before his “death” because he had called to tell him that it was not going well and that it needed medicines. No one would expect that she would immediately give further assistance now begin on the eve of a great tour of 50 concerts in London? •In his supposed last test he is using a style of hair for eight years ago. •The photo shows the ambulance with the skin tones of brown. Have a picture that shows the night before death, it is extremely pale skin. •The last picture of Michael Jackson trial was grossly forged, with the notable errors in editing and overlap. •Now besides the very LaToya Police of Los Angeles begins relevance to the idea of murder. •Major newspapers are beginning to discuss the contradictions between the testimony of people close to Jackson. •Surprisingly the doctor took half an hour to call the emergency because, he says, did not know the address of where you were (although I had gone with his car to the house, fully working there, and lived nearby). •The doctor Arnold Klein did not provide information voluntarily to the police, who had to do search and seizure in his office. •Jermanie brothers Tito and now declare that they have not seen the body in the coffin. Here's the source for those who understand Portuguese. I do not know if you already have or believe, but I found interesting, because I believe! THIS IS HER MESSAGE PEOPLE!!! !